At Seattle Reflexology we encourage dynamic learning in the field. You can count on us for a solid educational foundation as well as a strong set of continuing education opportunities. Each year we welcome highly esteemed instructors who offer our students new approaches, techniques, and maps. We think of it like pollination of our reflexology community, making it, and us individually, stronger and more vibrant. In order to accomplish this we draw from our local community of experts, as well as from the whole of the U.S. and beyond. We invite instructors from around the world so you don’t have to travel so far to learn from the best and brightest! 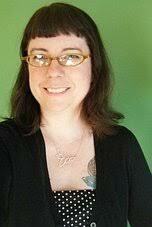 Jessica Crofoot, LMT, CR has a private reflexology and massage practice in Redmond, Washington. Jessica’s practice fosters an increase in body awareness, client education, and self empowerment to directly influence personal health. She teaches Introduction to Reflexology, Structural Analysis of the Foot & Lower Leg, Fundamentals of Addressing Foot Pain and Reflexology for Fertility, Pregnancy and Birth. Maryejo del Meijer, LMP, MA has been in the healing/transformational field since 1983 and is an expert in the reflexology modality of Metamorphosis. She was personally instructed for two years by Robert St John, the originator of Metamorphosis, and has continued to practice and teach this powerful, gentle work since 1984. Maryejo holds a Bachelors in Early Childhood Education, a Masters Degree in Spiritual Psychology, a Masters Degree in Family Counseling and is a Licensed Massage Therapist. She has a Bodywork/Coaching Practice in Santa Barbara California and has worked with thousands of clients. She is currently specializing in working with pregnant women. Having practiced Metamorphosis for over 30 years, Maryejo has extensive expertise in this field. She will present Metamorphosis. Pam Foster, LMT, CR has over 28 years experience practicing and 22 years teaching in the field of massage/bodywork in Seattle. She has owned successful small businesses in various fields of expertise. Along with her experience, Pam brings her intelligence, humor, and a wealth of practical knowledge and ideas to students in her fun and lively instruction of Business for Reflexologists, Ethics & Reflexology, Tax Tips for Reflexologists, Documentation Parts I & II, Supervised Practice Clinic. Since her graduation from SRMC in 2011 Christine Freeland, LMT, CR has been dedicated to continuing her reflexology education, taking classes from teachers in the Puget Sound Area and from around the world. In 2014, Christine earned her Reiki Practitioner certificate from the Reiki Training Program in Seattle and in 2015 she became a certified aromatherapist through Bastyr University. In 2016 Christine graduated from the massage therapy program at Northwest Academy for Healing Arts. She has facilitated the ARCB Study Session for SRMC since 2014 and has received rave reviews from students taking the ARCB test. This year she will also present Emotional Toolkit for Reflexologists. Lisa Hensell, LMT, NBCR, CR, owner and Director of Education at SRMC since 1999, has been studying and practicing reflexology in Seattle for 23 years. In 2018 she received the national Education Award by Reflexology Association of America “In honor of her talent and vision for promoting excellence in reflexology education”. Lisa has been involved in professional reflexology organizations since the beginning of her reflexology career. She helped to found Washington Reflexology Association, served on its Board for several years, and has participated in many legislative efforts. She served on the Board of ACARET (American Commission for the Accreditation of Reflexology Education and Training) for 7 years, culminating in the role of President. This experience gave her an understanding of how to set up a comprehensive reflexology program that would prepare students in dynamic ways for their reflexology practice. She has been a member of Washington Reflexology Association, Reflexology Association of America and International Council of Reflexologists for most of her professional life and has attended numerous conferences around the country and the world. Drawing on her years of experience with a busy practice, Lisa enjoys sharing what she knows of reflexology with her clients and students. She is passionate about the power of reflexology to assist physical healing and enhance psychological and spiritual well-being. 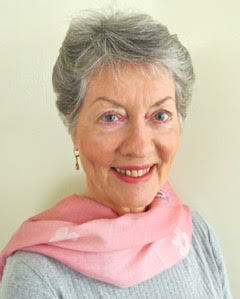 She infuses her classes with dynamic clinical and holistic approaches. Her love of the science and art of this healing work comes through in her instruction of Introduction to Reflexology, Advanced Reflexology, Parts I & II, The Law of Attraction: Manifesting Your Ideal Reflexology Practice and Hand Reflexology. With 30+ years of full time experience in her Copenhagen-based practice, Dorthe Krogsgaard is a reflexology veteran in Denmark. Throughout her career she has been actively involved in raising the profession’s standards and documenting its effects. 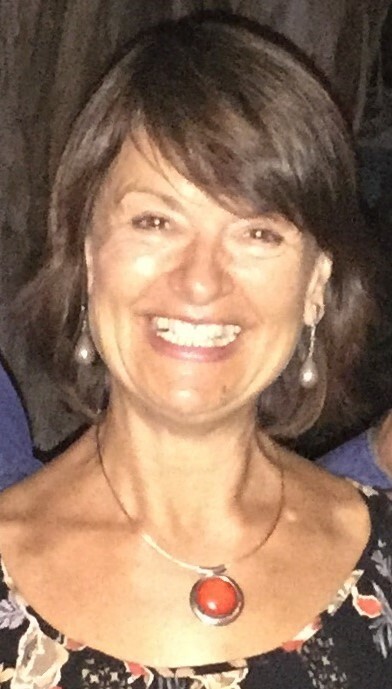 Dorthe has served as chairperson for the Danish Reflexologists Association, FDZ, and was instrumental in establishing FDZ’s Research Committee in 1991. International lecturer, past board member and vice-president of the International Council of Reflexologists. She will co-teach (with Peter Lund Frandsen) Round About: Fertility. For more information, please visit touchpoint. Peter Lund Frandsen studied medical science for 5 years at University of Copenhagen, Denmark. He took a year of modern physics and philosophy in the United States and has spent the last 35 years following the development of energy medicine. Since 1990 he has been studying and practicing complementary therapies, specializing in bioholographic methods such as nerve reflexology and reflexology. 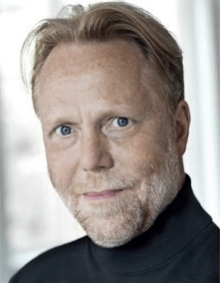 He is an international lecturer and teacher, and is co-founder and director of Touchpoint and Institute of Integrated Therapies in Copenhagen, Denmark. For many years Peter has been actively involved with the Danish Reflexologists Association (FDZ), where he coordinates the association’s international activities. International lecturer and author of many articles on various aspects of reflexology, Peter will co-teach (with Dorthe Krogsgaard) Round About: Fertility, Frontier Biology: WATER, and Energy Anatomy. Visit touchpoint for more information. 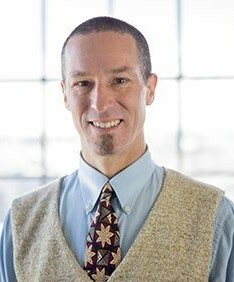 Dr. Ray McClanahan is a podiatrist in Portland, Oregon. In his 19 years as a podiatrist, he has learned that most foot problems can be corrected by restoring natural foot function. His professional goal is to provide quality natural foot health services with an emphasis on sports medicine, preventative and conservative options as well as education on proper footwear. Dr. Ray’s practice, Northwest Foot & Ankle, allows him to care for those who find their highest joy when in motion. He is also the inventor of Correct Toes, silicone toe spacers. Through his clinic and the website, Dr. McClanahan treats and educates on a variety of foot conditions—including many running injuries as well as plantar fasciosis, Achilles tendonitis, shin splints, heel spurs, bunions, and others. Dr. Ray is an active runner and athlete. In 1999, he finished 14th in the U.S. National Men’s Cross-Country Championships and had a near Olympic Trials qualifying 5,000 meter mark of 13:56 in 2000. He then qualified for the World Duathlon Championships in 2001. He instructed Achieving Natural Foot Health for the first time with SRMC in 2018 and will instruct Achieving Natural Foot Health + Certification in 2019. Neil McNeill, CR has had a private reflexology practice since 2006. He holds a Mastery Certification in reflexology from Seattle Reflexology & Massage Center, where he has been a core class instructor since 2007. In addition to reflexology, Neil is an experienced practitioner with Reiki, other subtle energy modalities, and shamanic-based spiritual guidance services. 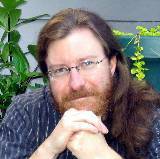 Neil is a respected scholar and educator in the fields of parapsychology, consciousness research and paranormal experience. He teaches Introduction to Reflexology, Hand Reflexology, Elder Care & Reflexology, Energy Awareness & Reflexology, Documentation, and Supervised Practice Clinic. Nico Pauly (Belgium) has more than 40 years of experience in physiotherapy. He is an expert in physical therapy, manual neurotherapy, manual therapy, neuro-dynamics, and cranio-sacral therapy as well as reflex zone therapy. Nico is responsible for the development of the science-based concept behind Manual Neurotherapy and Nerve Reflexology (MNT-NR). He translated the current understanding of pain physiology into practical clinical reasoning and transformed it into an instrument for treatment. Along with Griet Rondel and Norbert Gosch, Nico co-founded MNT-NR International, which is responsible for developing information about and spreading the techniques of Manual Neurotherapy and Nerve Reflexology through classes, assisting Manual Neurotherapists and Nerve Reflexologists, and the development of qualified tutors. Nico currently serves as a senior tutor at MNT-NR and is a member of International Association for the Study of Pain (IASP). Together in 2018 Nico Pauly and Griet Rondel taught The Stress-Response: A Sympathetic Nervous System, Hormonal and Immune Challenge. 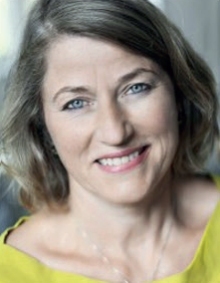 Griet Rondel (Belgium) is an experienced practitioner in physiotherapy, manual neurotherapy, neuro-dynamics, breathing techniques, and eastern meridian diagnostics. She specializes in the relationships between organs, emotions and brain centers. Along with Nico Pauly and Norbert Gosch, Griet co-founded MNT-NR International, which is responsible for developing information and spreading the techniques of Manual Neurotherapy and Nerve Reflexology through classes, assisting Manual Neurotherapists and Nerve Reflexologists, and the development of qualified tutors. She currently serves as a senior tutor at MNT-NR. Griet Rondel will teach Nerve Reflexology Training, Level I (of II). Sharon Stathis is a registered nurse, international educator, author and holistic health practitioner based in Brisbane, Australia. She is co-director of Feel-good Health Services with her psychologist husband Richard Rigby. Sharon began her reflexology training in 1989 and has studied under many leading reflexology instructors from around the world. She opened the first reflexology college in Australia to receive government accreditation. Sharon created the concept of Ayurvedic Reflexology in 2003 and has won international acclaim for her presentation of this work at seminars and conferences in 17 countries. She is a Charter member of the International Council of Reflexologists (ICR) and received ICR’s Ollie Bailey Service award in 2007 for her contribution to Reflexology. Sharon is a Life Member of the Reflexology Association of Australia and is a member of the Australian Traditional Medicine Society. She is in the process of writing three books: Ayuredic Reflexology for the Feet, Ayurvedic Reflexology for the Hands and To Cancer with Love. To find out more about Sharon, please visit her website. Sharon will teach Ayurvedic Reflexology: SMART 1 and SMART 2.